The flavor of an almond is as distinctive as its unique oval shape and characteristic off-white color. You'll find that they have a crisp, crunchy texture. When you bite into it, you'll experience a palatable, delicious buttery flavor that will delight your taste buds and inspire you to begin adding them to many of your recipes and enjoying them as a snack. By choosing a bag of raw almonds for snack, you’ll be making a smart dietary choice that will yield multiple health related benefits. Because their saturated fat level is the lowest among all nut varieties, you can enjoy almonds raw, in a guilt-free manner, as a snack, a recipe ingredient or as a garnish for salads and deserts. They are the only alkaline-forming nut and they contain more vitamin E than any other nut. Almonds are the seed from fruit grown on an almond tree. They’re an excellent source of antioxidant flavonoids and are beneficial for heart and bone health and weight management. Raw almonds have a high potassium and low sodium content that helps in maintaining an acceptable blood pressure. 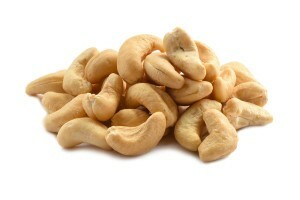 They contain high monounsaturated fatty acids that help lower bad cholesterol and increase good cholesterol. These factors make them a heart-healthy food. This tasty nut can be a viable part of a weight management plan, the management of type 2 diabetes and beneficial to digestive health. It’s an ideal snack choice for anyone who is at risk of developing osteoporosis. The alkaline-forming quality of this nut enables them to work as a preventative for osteoporosis. They’re a good source of calcium, magnesium and phosphorus that helps build strong bones. Ingredients: Almonds. Product of California. One bag contains about 380-400 pieces. I LOVE my Raw Almonds! 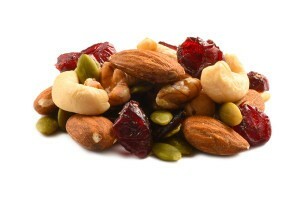 The nuts are fresh and flavorful and who can resist the packaging! Thanks! I will be restocking again! 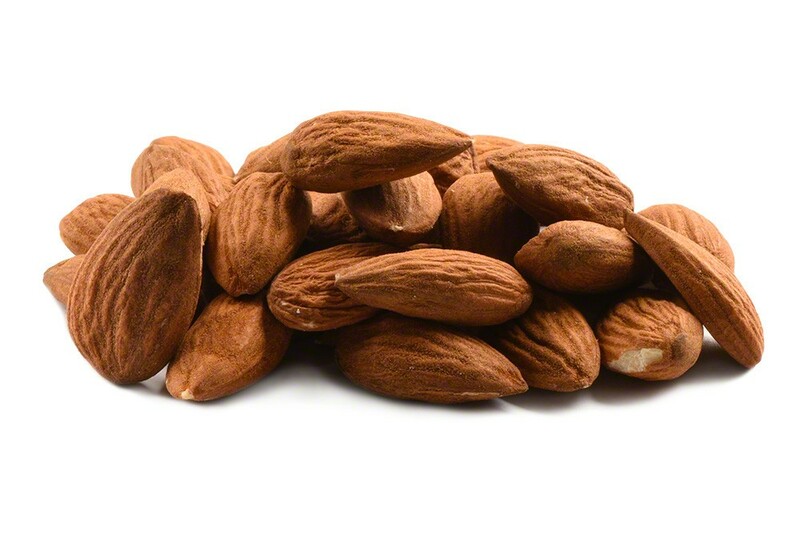 These almond are flavorful, healthy, and remarkably cheap. I have purchased them a number of times now and I keep coming back. I get most of my protein from nuts, and I eat a lb every other day! These are great for me. Great raw almonds. Fresh and tasty! Good quality almonds for a great price; order also arrived very quickly, which was an unexpected bonus. Finally I found a place with cheap, tasty almonds! I use it for my morning smoothies, I’m going to stick with the website to make my puchases. I grew up in the islands where my siblings and I picked and ate almonds from the almond trees that were growing on the island. They were a smaller version of these almonds but just as tasty. Getting the raw almonds brought back those memories and the best benefit of all is that it’s a natural laxative. All you need is a handful and you’re good for a few days. Product arrived quickly, and product is excellent. Better than I’ve gotten at Sam’s Club. These are the BEST almonds on planet earth & an exceptional value. They are fresh, crunchy, and consistently delicious. I am never without a bag in my pantry and I include this healthy snack in gift bags for loved ones. TOP NOTCH product & website. I’m a big fan! Second time ordering the almonds. Was not disappointed. Will continue to order. Fantastic price, beats all the big stores around my area. Love the almonds. Great value, and they are a great snack! Delicious! I use them for snacking. I highly recommend this company! They are fast and the item is always high quality and tastes amazing. I will always buy my nuts and seeds from them. I will never buy in a store again. thank you Nutshop! very fresh and very good tasting almonds! My family love’s the taste of the raw almonds! We are odering more! Early March was my first time ordering from Nutstop & I’ve been hooked since. I’ve ordered raw almonds from other sites but nothing compares to the freshness of these. I will be a long term customer. I use a lot of almonds for almond milk. Nutshop.com always has top quality, freshness and fast shipping. Thank you! Great almonds! Good for cooking or making butters. Delicious almonds. No splits, first class YUMMY Nuts!! Good quality. The shipping is high but I guess to be expected. Good price for a very good product! Order came in perfect time, and I also appreciate the super nice emails customer service sent me to update me on my purchase/shipping. Definitely recommend them. I was a bit hesitant to order because of the low price, but these almonds are wonderful. My order arrived quickly and I’ve already recommended nutstop to several friends. Good quality and taste. Would recomend to anyone. Can’t beat raw almonds! These are very good. Very fresh and tasty. Great snack to enjoy at home or on the go. Super yummy! I love the bright cute green packaging these nuts come in. The almonds themselves are fresh and delicious. These are a life saver, I have a bag at home and at the office! Love almonds. We’ve been using this company for over 2 years and never had a negative experience. Almonds come always fresh and could be stored for couple months without any problems. Great price, very fresh and good for you. Thanks for yet another super product. Excellent tasting. Very fast shipping. Best part is the resealable bags. Great for storage. Very pleased with the almonds. Made some great almond butter. Great light colored fresh almonds- good for soaking to remove phytic acid. Just soak for a couple days in filtered water with some sea salt in it to remove some of the mineral inhibiting phytic acid from the nuts since they start to sprout some easier to digest too that way. They are good after soaking and drying on lowest setting in food dryer and freeze well too. Nutstop also has good shipping times comparatively and great customer service! Great light colored fresh almonds- good for soaking to remove phytic acid. Just soak for a couple days in filtered water with some sea salt in it to remove some of the mineral inhibiting phytic acid from the nuts since they start to sprout some easier to digest too that way. They are good after soaking and drying on lowest setting in food dryer and freeze well too. Excellent quality and pricing. 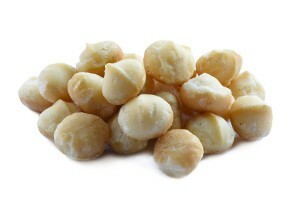 Created my own mixed nuts with these, your hazelnuts and Brazil nuts. your Almonds make great Almond butter! Quality product for making anything including vegan snacks. great tasting and fresh! gone before you know it!!!!! These are so delicious! They are fresh and smell so good upon opening the bag. If you get the larger size, you might want to seal in bags and freeze some to have it stay as fresh as nutstop sends it. We used these quickly and soaked them to sprout them before drying them in a dehydrator. They are very good and not rancid or old smelling or tasting at all. Wonderful! These almonds are great. They will be just right in the nut mix I’m making! Order #11279 Best price, easy to order, fast shipping & fresh. Will definitely order again. Almonds very fresh and tasted great. Fast service. neat packaging. Great color light and crunchy. For me Almonds should be soaked to remove phytic acid so it takes a while for me to use them so it would have been nice to have a bag that was easier to reseal in the 25 lb box, but i will be ziplocking them probably to save them and maybe freeze some. They seem fairly fresh i hope they last well. Just got my first order of raw almonds (10974). They came very quickly and tasted great. I sent them an email asking how to store them and got a reply in minutes, amazing! I give Nutstop an A+. I will order from them again. Very good, easy to order, came super fast! The raw almonds are very fresh. They are plump looking, unlike those from other companies with very dry and shriveled looking of the surface and the entire almonds. I can also tell that Nutstop’s raw almonds are very fresh not only because of their looks but also their ability to be able to sprout. Fresh and delicious. We have used them several times for cooking, as well as just snaking on them. Definitely would recommend them.